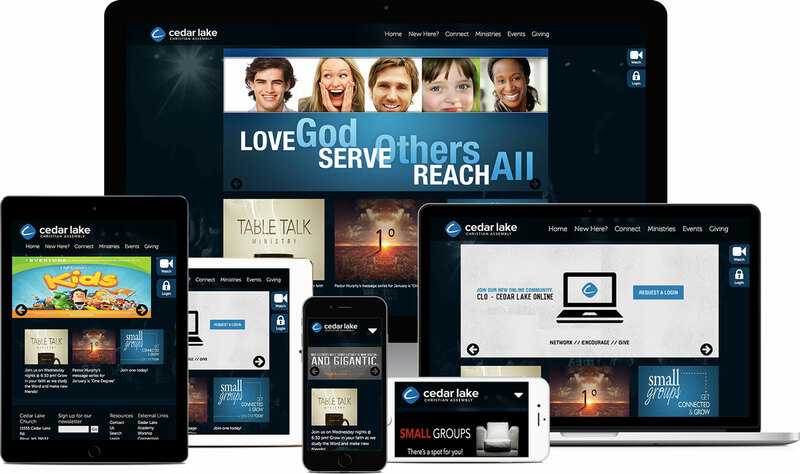 Cedar Lake Christian Assembly came to us looking to replace their outdated site and old branding, and we worked with them to develop a new online identity and implement an easy-to-administer content management system. Cedar Lake Christian Assembly had recently gone through a renaming (from Cedar Lake Church), and they didn’t even have a logo that showed the new name yet. Through a friend of Craft+Story, Kristy from Cedar Lake called us to help them get a new logo, update their online brand, and replace their outdated site. I knew they hadn’t really worked with an out-of-state agency this intensely before, but they trusted the work we had done for other churchs and ministries — many outside of Texas. We partnered with Drew Rodgers to do the logo and print material, and he obviously did amazing work directly with Cedar Lake to help them craft a more modern, dynamic feel. For the online brand, we worked on a system of typography, colors, and graphic elements to give a simple, clean, and updated look that could both look younger and work with graphics from all the different ministries (even if their graphics weren’t updated). To keep Kristy and the whole team in Biloxi in the loop while we were iterating 600 miles away, I shared our creative direction through “style tiles” abstractly showing all the elements without a full mockup. We knew, based on our early research, that mobile access was becoming a bigger deal for Cedar Lake (like all websites), so we pushed for a “responsive” layout that would adapt for different device sizes from the very beginning. Along with responding to devices better, our responsive implementation provided a faster-loading, quicker website that could be used from anywhere in the world by remote members, even those with slower connections. Their old website was outdated partially because of its design (which was older) and partially because nobody on staff was tasked with knowing HTML and CSS (which makes sense in a smaller church). To prevent that from ever being an issue again, we built everything around the TYPO3 CMS. Of course, I know that the default TYPO3 doesn’t replace the need for HTML or CSS knowledge, so we built a series of tailored content elements and a complete design system (with multiple page layouts and content element versions) inside TYPO3. Once we had the “bones” in place, we trained them remotely on everything they needed to know, and they started adding content while were finished up the smaller pieces and final testing. Immediately after launch, we heard great things from Cedar Lake and we could see more people getting involved through Church Community Builder (conveniently integrated into the site). Their online viewing, now much easier to access, went up, and we’ve watched their traffic grow consistently since launching on our servers. 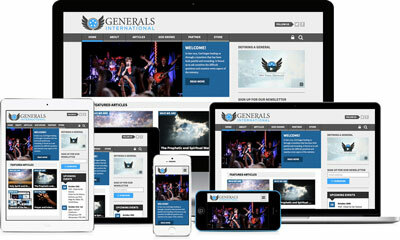 This wasn’t our most ambitious project by any means, but the results were very tangible. We were able to help a great, small church improve their online presence, and they’ve been able to maintain and improve it without a web team (or even a dedicated admin). That was what they needed, and I’m just glad we were able help.